Mary Ann Rivera adjusts her chain as she sits in a Houston courtroom waiting to appear before a judge on Friday. Rivera, 76, is charged with murder by omission in the 1970 death of her husband. 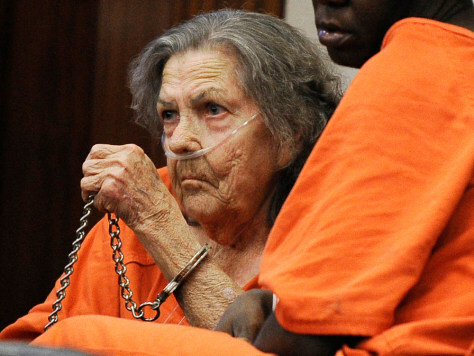 Rivera had been a fugitive since she posted a $10,000 bond in 1970 following her indictment. Court records allege that Rivera was accused of killing her husband by "throwing hot grease on him and by throwing other substances and liquids."